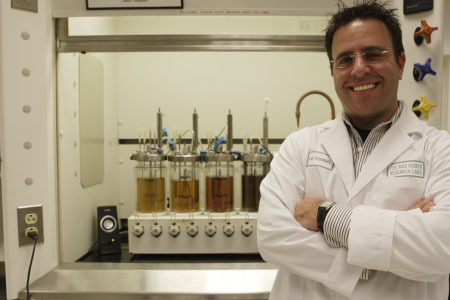 Paul Tchinnis at the NY Max Huber Labs. Paul Tchinnis, the Research and Development Director at the La Mer Max Huber Laboratories in New York, recently travelled to Cape Town, where I had a quick meeting with him, asking him YOUR questions (sent to me from various readers) about La Mer. The location was the prestigious Five-Star Queen Victoria Hotel, where I met with Paul after he had a La Mer presentation with beauty editors. Events manager @CarineGlass tweeted this picture showing Glodagh Knott, La Mer Marketing Manager, applying the Crème de la Mer Moisturizing Cream. (Along with the SPF Fluid Tint, Clodagh's personal favorite products in the line). Paul's favorite La Mer product is the The Concentrate, which he uses on his kids whenever they damage their skin while playing, he also appeared on 702 Talk Radio. Paul with The Miracle Broth. "Can I heat Crème de la Mer over a tea candle?" NO! To activate the key ingredients in La Mer for an individual application it should be warmed between the fingertips (or hands), the liquid crystal structure requires the friction of rubbing and the heat of your skin to release The Miracle Broth and activate on your skin. 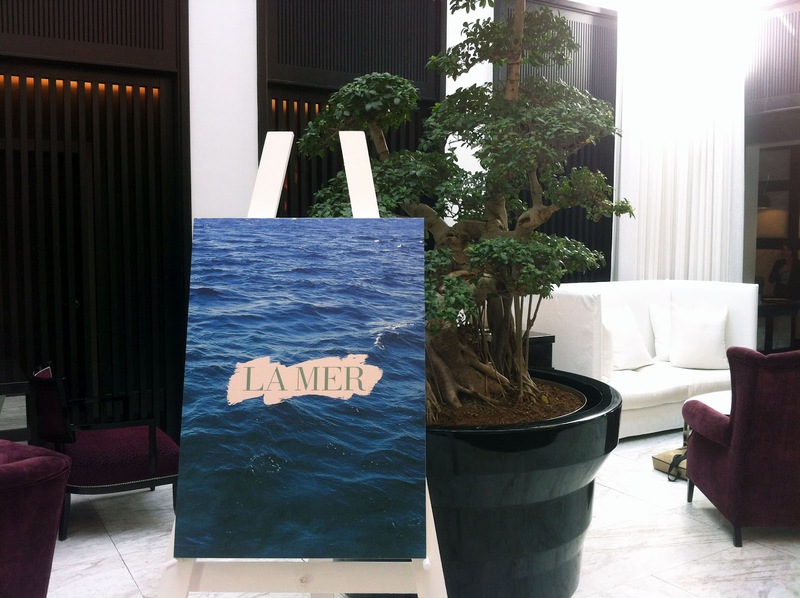 "Will La Mer launch a bigger size of the SPF 30 UV Protecting Fluid?" Not sure, the marketing team deals with sizes. UPDATE: See NEW SPF Range. "If Kelp is green or brown, why is Crème de la Mer white?" During the natural 3-4 month bio-fermentation process the color of The Miracle Broth lightens, and then gets mixed with the other ingredients, which are predominantly white in color. "Will La Mer be supporting Oceana again for Wold Oceans Day?" Absolutely, with a new Limited Edition Crème, see Oceans Day '12 - Exclusive Scoop. 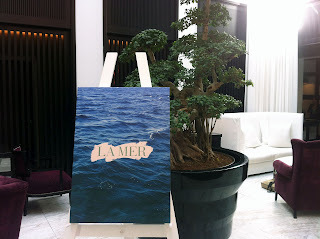 "How do you get minerals & stones, like diamonds, into the La Mer?" It's a very slow process where first grind the stones into a fine powder, then by tumbling it for a long period of time the particles gets rounded, afterwards it gets infused into water, making a colloidal mixture, like a fine sediment, then it can be added to a formula. "What Diamonds do you use in The Refining Facial and The Body Refiner?" It's not your premium D Flawless diamonds used in jewelry, it'll be the lesser quality stones, great for exfoliating the skin. "I heard you might be changing The Lip Balm into a tube form?" Not as far as I know. (I'm personally happy about this, I LOVE the pot). "Does La Mer still fill the jars by hand?" 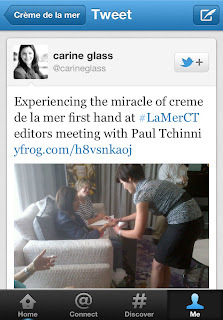 Yes, every single pot of Crème de la Mer is still filled by hand. "Does La Mer offer facility tours at the Max Huber Laboratories?" Other tidbits of information that I gleaned from Paul will be featured in exciting future posts!